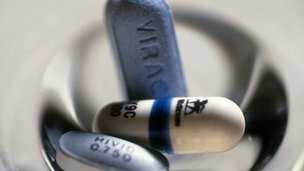 New guidelines for HIV treatment could see millions more people in developing countries getting life-saving medicine. The World Health Organization (WHO) is recommending that patients start taking medication at a much earlier stage of the disease. The WHO says the guidelines, which are being launched at an international Aids conference in Kuala Lumpur, could help avert an extra 3m Aids deaths by 2025. The charity MSF welcomed the move – but said extra investment would be needed. (Reuters) – The blood clot preventer Eliquis, sold by Pfizer Inc and Bristol-Myers Squibb Co, proved as effective as widely used warfarin in treating a dangerous condition known as venous thromboembolism and caused far less bleeding, according to data from a large clinical trial. The Pfizer and Bristol-Myers pill met the main goal of the study by showing it worked just as well as conventional treatment with warfarin, a generic blood thinner, in reducing recurrence of the condition and related deaths. U.S. President Barack Obama takes the stage to speak about the Affordable Care Act during a visit to San Jose, California June 7, 2013. NEW YORK (Reuters) – About 550,000 people in Oregon do not have health insurance, and Aaron Karjala is confident the state’s new online insurance exchange will be able to accommodate them when enrollment under President Barack Obama’s healthcare reform begins on October 1. WASHINGTON (Reuters) – The Obama administration on Friday issued its final rule requiring health insurance coverage of contraceptives for the employees of faith-affiliated universities, hospitals and other institutions. Officials said the rule does not differ substantially from a proposed version released earlier this year that sought to insulate employers that oppose birth control on religious grounds by providing the benefits to their workers without out-of-pocket costs through outside plans funded by insurers. NEW YORK (Reuters) – A 10-year-old Pennsylvania girl who sparked a national debate about child access to organ donation took her first independent breath this week on a second set of donor lungs after her first transplant failed, the girl’s family said on Friday. Sarah Murnaghan, who had cystic fibrosis and needed a lung transplant, had been kept off an adult organ transplant list due to an age restriction. She became eligible for an adult pair of lungs only after a judge’s order. People with heart problems have been advised to stop using one of the most commonly prescribed anti-inflammatory drugs in the UK. 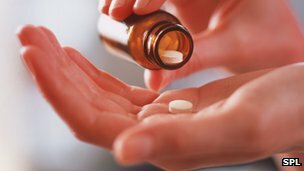 The medicines regulator said painkiller diclofenac could significantly increase the risk of a heart attack or stroke for some patients. The advice has been updated after a European review of the risks. Millions of people take diclofenac for a range of conditions including headaches, back pain and arthritis. What a difference a year makes! Last year, a majority of readers were in favor of the Affordable Care Act (ACA). This year, it’s a minority. In June of 2012, MedPage Today asked readers if the Supreme Court did the right thing when it ruled the ACA, in particular its individual mandate, did not violate the Constitution, but effectively left the decision to expand Medicaid up to each state. 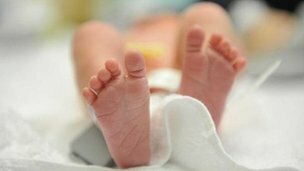 NEW YORK (Reuters Health) – Bed rest immediately after an in vitro fertilization (IVF) procedure, despite being common practice, did not help women ultimately have a baby in a new study. “The old wives’ tale of bed rest should be debunked once and for all, that you don’t need bed rest in any way, shape or form,” said Dr. Jani Jensen, a fertility expert at the Mayo Clinic, who was not part of the study. The UK looks set to become the first country to allow the creation of babies using DNA from three people, after the government backed the IVF technique.